It’s a common part of society now, everyone has their smartphone glued to their hands, and people would rather flick of their finger back and forth on a small screen rather than engage the person next to them in conversation. But the biggest place where it’s having an impact is at home with your family, and, more specifically, your children. A lot of young children are already addicted to tablets. And it seems that by the age of two, most children already know how to use a smartphone or a tablet, so is this a little premature? But also what are the negative effects of your child having a smartphone or a tablet at such a young age? As we all know, it’s very difficult for us to put down or smartphone for any lengthy period of time anymore. Think about this in terms of an infant, where between the ages of 0 and 2 years old, their brain will triple in size. And if their brain space is taken up by an allegiance to this electronic device, not only do they become addicted to it, but it also doesn’t teach them how to control their impulses or to even challenge themselves, both of which are traits of an addictive personality. If the tablet becomes their priority, this gets in the way of any young child developing proper personal bonds, which means they will struggle to utilize their emotions, and they will struggle to form bonds with other people down the years. In addition to this, any time you take away their tablet or smartphone, it will result in temper tantrums, which aren’t pleasant to deal with. We tend to think that we are keeping them quiet for 5 minutes by giving them a tablet. However this kind of behavior will self-perpetuate itself, and you may find that you have got into a desperate cycle of pacifying your child with a tablet for an excessive amount of time. It has been widely spoken off that if you go to bed with your smartphone, it will suppress your melatonin, known as the sleep hormone, and therefore it becomes a struggle to have and maintain good quality sleep. Couple this with the all too real concern of mobile phones and tablets catching fire, this is something for every parent to be concerned about. If, heaven forbid, your child fell asleep with their tablet under their pillow, and it caught fire that would be a terrible thing to endure as a parent. There may be some sense of redemption in hiring accident lawyers to fight for a product liability claim, but this would be low on your list of priorities if your child were severely hurt by their tablet. We all think nothing of plugging in our phones to charge at night, but this is the time when you are most at risk. Children growing up with a smartphone are being distracted in many ways. It is argued that these devices can have an impact on the hands on approach to completing tasks. 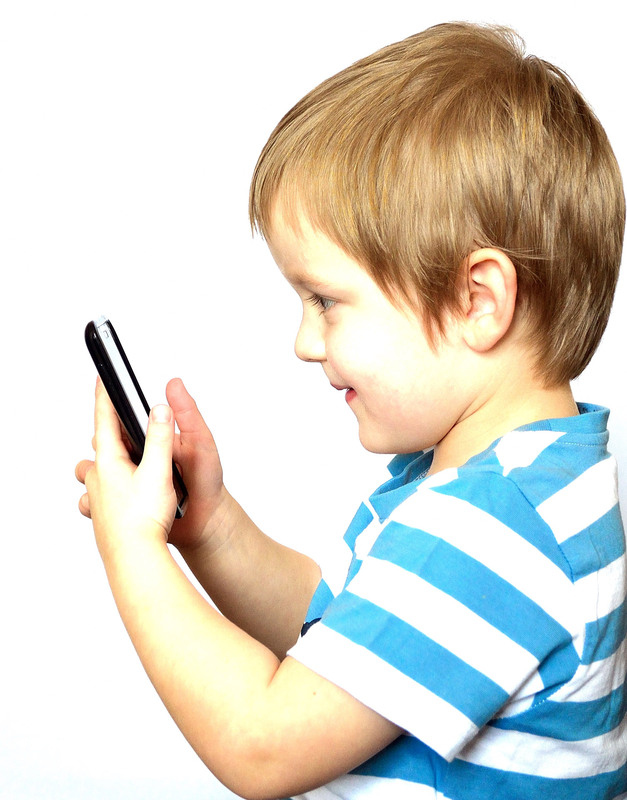 So, for children in school who are solely relying on their tablet or smartphone, their sensorimotor or visual motor skills may be very underdeveloped. By being distracted by their phones, there’s a high chance that they are not being as creative or imaginative as the average child used to be. In fact, with the wealth of information at your fingertips now, it means that there is less engaging with the brain, and the ability to recall information is not used as much as it used to. A good example is that instead of trying to remember a fact for the purposes of debate, they can simply look up the information. This can be argued as a good thing in one respect, but on the other side of the equation, this means that everyone, not just children, are not using their brain the way it was meant to be used. This is all too obvious to everyone, but if we as adults are not interacting with people more, how is this affecting our children? And if you think back to the playground in school, you actually played; you didn’t sit in the corner on your phone. This lack of interaction and engagement with other people is showing in the increase in obesity in our children, but it’s also a critical signpost of how future generations may be ill-equipped to deal with basic human emotional processes. You may have already given your children that smartphone or tablet, but with these, and many other dangerous symptoms of being glued to a screen, it’s time to take them back. It is, indeed, a bitter pill to swallow. This entry was posted in Family Issues and Interpersonal Relationships, Health, Mental Health, Technology. Bookmark the permalink.